MIAMI (AP) -- Toyota waited nearly a year in 2005 to recall trucks and SUVs in the United States with defective steering rods, despite issuing a similar recall in Japan and receiving dozens of reports from American motorists about rods that snapped without warning, an Associated Press investigation has found. The lengthy gap between the Japanese and U.S. recalls -- strikingly similar to Toyota's handling of the recent recall for sudden acceleration problems -- triggered a new investigation Monday by the National Highway Traffic Safety Administration, which could fine the automaker up to $16.4 million. That was also the amount Toyota paid last month in the acceleration case. NHTSA said Monday it learned Friday from a plaintiff lawyer in California of 41 complaints filed with Toyota by U.S. customers before the automaker's October 2004 Japan recall of Hilux and Hilux Surf trucks. "Our team is working to obtain documents and information from Toyota to find out whether the manufacturer notified NHTSA within five business days of discovering a safety defect in U.S. vehicles," NHTSA Administrator David Strickland said in a statement. Federal regulators "are taking this seriously and reviewing the facts to determine whether a timeliness investigation is warranted," NHTSA spokeswoman Karen Aldana told the AP in response to questions about the 2005 recall. An automaker is required to notify NHTSA about a defect within five days of determining one exists. NHTSA has now linked 16 crashes, three deaths and seven injuries to the steering rod defect. When a steering rod snaps, the driver cannot control the vehicle because the front wheels will not turn. The AP reviewed hundred of pages of court documents, including many of Toyota's internal communications from the period when the steering problems first emerged. The AP also analyzed government files and complaints from drivers who experienced trouble behind the wheel. After the 2004 Japanese recall, Toyota claimed initially that it had scant evidence of a steering rod problem among U.S. trucks and SUVs. But the AP found that the automaker had received at least 52 reports from U.S. drivers about the defect before vehicles were recalled in Japan. Toyota told the AP that it has now confirmed seven total cases in the U.S. of steering problems in the T100 small pickup and no reports of accidents or injuries. Company spokesman Brian Lyons said Monday that the automaker received an information request from NHTSA and intended to cooperate with the agency's inquiry. Toyota claimed in a 2004 letter to NHTSA obtained by the AP that driving conditions in Japan were so different from those on U.S. roads that a recall was not necessary for 4Runner SUVs and T100 pickup trucks, known in Japan as the Hilux and Hilux Surf. That was despite the vehicles having nearly identical steering components, according to company documents filed with NHTSA. In the October 2004 letter, the company told the agency there were differences between left- and right-hand drive vehicles and that Toyota "believes that the unique operating conditions in Japan, such as frequent standing full lock turns, such as for narrow parking spaces and close quarters maneuvering, greatly affects the occurrence of this problem." In addition, Toyota insisted to U.S. regulators the company had only scattered reports by 2004 from U.S. drivers about the steering problems. However, company documents that surfaced in a 2009 lawsuit show Toyota received 35 complaints through its customer service department -- four formal complaints to its legal department and 13 warranty claims through dealers before the 2004 recall. The company later acknowledged in court documents that it received at least some letters from U.S. customers whose steering rods had broken. Yet it was not until September 2005 -- 11 months after the Japanese recall began -- that Toyota issued a recall in the U.S. for nearly 1 million 4Runners and Toyota trucks from model years 1989 to 1995, and T100s from model years 1993 to 1998, to repair steering rods. Last month, Toyota agreed to pay a $16.4 million fine for delaying its recalls of millions of vehicles to replace floor mats that can trap accelerator pedals and accelerator pedals that can stick. The attorney for an Idaho family suing Toyota over the steering issue now says there are strong parallels between the 2005 steering recall and the accelerator situation. Toyota's October 2004 and September 2005 letters to NHTSA, both of which said that the company had not received U.S. complaints before the Japan recall, were signed by Toyota Motor North America vice president Chris Tinto. Tinto worked for NHTSA before joining Toyota. Congressional calls for a tightening of revolving-door laws were based in part on Tinto's role at Toyota in getting the agency to agree to smaller recalls by the automaker. California attorney John Kristensen Monday said Toyota failed to meet its obligation to promptly notify the agency about a vehicle defect. Kristensen represents the family of 18-year-old Michael "Levi" Stewart, who was killed in a 2007 accident. "They clearly had evidence. They clearly had problems in the U.S.," Kristensen said. "They've got to be held responsible for misleading the U.S. government about why they weren't doing a recall in the United States." NHTSA is also reviewing whether Toyota improperly delayed for six weeks the January recall of the 2009-2010 Venza in the United States to address floor mats that could trap accelerator pedals. The company had made a similar recall in Canada six weeks earlier. Earlier Monday, Transportation Secretary Ray LaHood met with top Toyota executives in Japan and said the company could face additional fines for safety-related issues. LaHood said investigators are going through some 500,000 Toyota documents. A determination on new fines probably will not be made for months. In Stewart's death, Toyota acknowledged in a 2009 filing that the company was contacted by two U.S. drivers complaining of broken steering rods in 2002 and 2003 but emphasized "the fact that a steering rod broke is not in and of itself evidence of the recall condition." The reports uncovered in the Stewart lawsuit tell a different story. One motorist who wrote in 2002 to Toyota urged the company to do something after the steering rod broke on his 1997 T100 pickup. "I bring this evidence to your attention because of the obvious safety hazard," wrote Yigal Schacht of Flushing, N.Y. "Had this fracture in the center link occurred even 10 minutes later, I would have been traveling on the Long Island Expressway, and without steering, surely a horrific tragedy would have ensued." 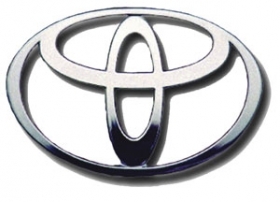 The Toyota steering recall in Japan began after a highly publicized accident in which five people were injured after a steering rod snapped, leading to a criminal investigation there of Toyota executives involving the timing of the recall. Ultimately, Japanese prosecutors decided not to file professional negligence charges against the executives. The Stewart case is one of four lawsuits that were filed in state courts after the U.S. steering recall and the only one drawing close to trial, which is set for November in Los Angeles. In addition to the defective vehicle, the Stewart family is claiming Toyota's 2005 recall was faulty because it repaired only about a third of the vehicles -- far below the 70 percent level that is the typical goal under NHTSA guidelines. NHTSA officials cautioned, however, that repair levels for older vehicles are often lower because many of them are not in use any more. Stewart was killed Sept. 15, 2007, while driving friends home in his 1991 Toyota pickup near Fairfield, Idaho. Toyota has said in court documents that the steering rod may have broken on impact rather than before the crash and has suggested the crash may have been alcohol related. Stewart's blood-alcohol level was 0.03, within Idaho's legal limits. "Stewart was under the influence and speeding" before the accident, Toyota said in one filing. Kristensen said Stewart drank "half a beer" that night and was the group's designated driver. If the recall had been performed sooner and more efficiently, "it could have saved Levi Stewart's life," the attorney said. Similar claims are being made in hundreds of lawsuits against Toyota over the unintended acceleration problem, which NHTSA has linked to 52 deaths in the U.S.
Neil Roland of Automotive News contributed to this report.